If you are interested in beginning a weight-loss program using the Herbalife products, I share with you the best plans available and how to make it work for you! If you are looking for a coach to help you start and be successful on a Herbalife weight-loss program, we are here to help! We both use the products on a daily basis and continue to love and share them with anyone looking for real and lasting health results. To learn more about our coaching and how we can help you lose weight and be successful on your program, check out our coaching page for more information! First off I want to give you a personal perspective on how this company and products has absolutely changed our lives and offered us a new and better outlook on life! Kelli and I (About Us) are health coaches who have a burning passion to help others reach their healthy lifestyle goals. We love having the opportunity each and everyday to help someone new get into the best shape of their life! For us and thousands of others around the world it is made easier and much more fulfilling to get healthy by using the amazing nutritional products that Herbalife offers. Our initial results using the products were amazing and we are still FIRED UP about them to this day..
Kelli was able to lose 25 lbs on her program and I was able to lose 10% body fat! Talk about creating a healthy lifestyle! Just to give you a personal perspective on how well these products work if used daily and how well they complement an overall healthy and active lifestyle. The program I want to share with you that is based around these products is super simple to implement, but with the right coaching and support can be tailored to anyones body type and specific health goals. The Lean and Fit program includes 30 days of products along with support and accountability from us as coaches to make sure you are using them in the right way and getting the most benefit from the nutrition! What all does the Lean and Fit program provide? This program is the ultimate Herbalife weight loss plan that we coach all of our clients on and teach them how to properly use each product and how to implement them into their daily routine. This specific plan has worked immensely for us and many of our clients who are seriously motivated to get results and follow the basic instructions we provide them. The Herbalife products provide amazing nutritional support along with implementation of healthy snacks and a basic fitness plan. 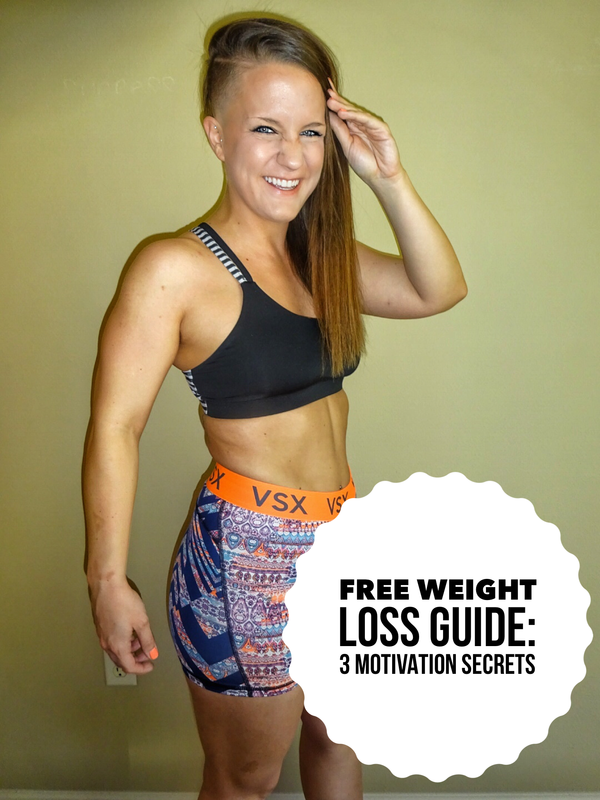 Compared to all of the other weight-loss plans we have come across this is by far the easiest to practice and can produce outstanding results if followed and made into a LIFESTYLE! Notice I say lifestyle and NOT diet. Kelli and I have continued to use these products every single day and made this program into a daily lifestyle. Diets are temporary and show time and time again that they don’t work! To make the Herbalife products and weight-loss program work for you it must be a total commitment meaning you follow our coaching and guidance to reach your desired results. The post above highlights some of our friends and team members results using the Herbalife products and staying 100% committed to their programs and following their coach’s advice! They were able to reach their desired results (weight-loss, weight-gain, boosting energy etc) by implementing proper nutritional habits along with adding in the products to help supplement their goals. What we love most about what these products provide is the wide-array of options that are available to help specific needs. Whether you want to add more protein into your diet, improve your digestion or add in omega-3 and healthy fats, all of these are viable options! To see more success stories and amazing Herbalife weight-loss results, click HERE. If your goal is to lose weight then I will share with you here some of the best products Herbalife offers speficially for weight-loss.. The main product used for weight-loss for our programs. A shake that offers the calories, vitamins and minerals of a full, healthy meal. Comes in 10+ flavors (mine is Cafe Latte). Protein supplement to add into shakes or drinks that supports lean muscle mass and gives your the added protein you may need to support your goals. Tea in powder form that can be easily mixed with 8 ounces of hot or cold water. Our go to drink every morning that provides additional anti-oxidant support, natural caffiene for a boost of energy and burns 100 calories with each serving. Aloe vera in liquid form for enhanced digestive support and cleansing. Easy to add to any shake or beverage. Soothes your stomach, promotes regularity and relieves indigestion. Dual-action forumla that helps you reduce calorie intake and provide you with a feeling of fullness. Blend of palm and oat oils that helps you burn body fat and lose weight more effectively. The products listed above are some of the main products that Herbalife offers that can help you lose weight and burn fat. If you want to learn more how you can add these products into your weight-loss program, fill out the form on our coaching page to see how we can help you reach your goals! Now that you know how an Herbalife weight-loss plan works and how our health coaching helps you reach your goals, you may be ready to start on your program and get your products as soon as possible.. If this program is something you are committed to and ready to begin, you can go to our products page and shop around and see what products will be helpful for your specific needs. Once you are on our products page click the blue button at the top ‘Register To Shop’ and create a Free account. This will give you access to view the prices off all the products and programs. Also as your coaches, make sure you send us an email (zerolimitscouple@gmail.com) and let us know what your name is and what your health goals are so we can set up a personalized meal plan for you! Our ultimate goal is to help you reach the health results you want and we are committed to help you step-by-step to get there!